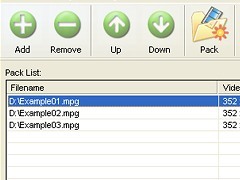 ■ "Ordix Mpack Pro joins all my MPEG files seamlessly without any problems and its super fast! I vote it for the best mpeg joiner in history!" ■ "I recently bought your new Avi Joiner and it joins all my favorite divx and xvid avi files in a flash! Thank you! have never even felt the need to consider other similar products." everything Ordix claims it does - join MPEG files seamlessly. My only regret is that I didn't discovery it sooner."  Our Avi Joiner uses a highly optimized, fast and seamless AVI joining method to produce amazing lossless AVI, Divx, XivD files. It has never been easier to join or rearrange your favorite AVI, Divx, XviD, MPEG2, MPEG4 (all other codecs supported) files together into 1 single file for an uninterrupted viewing enjoyment. If you want quality without compromising speed, with greater flexibility in joining your AVI, Divx, XviD, video files, Ordix Avi Joiner is your perfect solution! Get your copy Ordix Avi Joiner and edit your video files like pro today! TIME LIMITED OFFER! Pay ONCE for UNLIMITED FREE UPGRADES!!! Act Now! You save a whopping of 60% off of the original price! That is more than $36 of savings! Get more than 25% off! Ordix Mpack Pro (Professional) is the full version of our MPEG joiner, Ordix Mpack that demonstrates its full capability to join and split multiple MPEG files. It provides an intuitive and user-friendly interface, specifically designed to combine and split MPEG files. Finished in a smooth, metalic polish, Ordix Mpack Pro works as good as it looks! Ordix Mpack series provides the only TRUE SEAMLESS MPEG Joiner with absolutely no jumps or jitters. Glitches free! 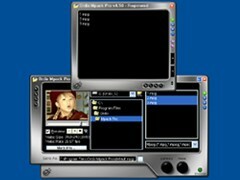 Ordix Mpack FUSE (Fusion Edition) is a MPEG joiner program specifically designed to combine multiple MPEG files. It provides an intuitive and user-friendly interface for joining of files. Finished in a cool Windows XP designed looks, Ordix Mpack FUSE blends into your windows environment seamlessly with its most user-friendly and intuitive functions. Ordix Mpack series provides the only TRUE SEAMLESS MPEG Joiner with absolutely no jumps or jitters. 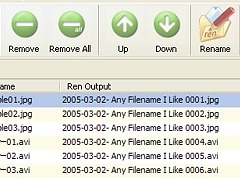 Ordix Renamizer is an easy-to-use file renamer to rename massive files or digital photographs/videos in split seconds. With Ordix Renamizer's comprehensive renaming options, you can add prefixes, suffixes, powerful search and replace options, change filename, filetype, stamp Date/Time and change file attributes all within 1 interface. No more tedious and time-consuming task of going through your digital photographs 1 by 1 renaming them. In short, "we make rename easy". 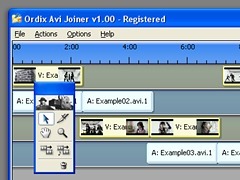 Ordix Aviser is an easy-to-use AVI joiner or WMV joiner program to join multiple AVI, MPEG-1, MPEG-2, MPEG-4, WMV and ASF video files. You can join AVI MPEG ASF WMV files of different video size, framerate, video/audio compression (codecs) and packed them together as a single AVI or WMV file for uninterrupted viewing enjoyment. If you need to convert your video files into AVI or WMV format, Aviser can be your one-stop-solution video convertor. can easily convert all these files with just a single click! "We strive to make the best, and fastest MPEG Joiner and AVI Joiner"
Copyright ｩ 1996-2006 Ordix Interactive. All rights reserved.